The happiest kitchen I have ever worked in was Farallon, the underwater-themed behemoth near Union Square. Though most of the staff at Farallon was jolly and welcoming, there was one manager who never failed to unnerve me. I’ll call him Justin. Justin enjoyed exerting his managerial power over anyone he could, and the pastry plater was a prime victim, being isolated in a marble-covered island and performing mindless tasks between platings, such as scooping hundreds of tiny cookies, or picking stems off microscopic huckleberries. Yet Justin relished hovering about the pastry station looking testy when I was slammed with dessert orders, and finding miniscule details to criticize. But Justin never grew on me. “You forgot the powdered sugar,” he’d point out, or tell me “There’s a fingerprint on the rim of this plate.” And during one busy night, he sauntered over with a culinary dictionary to lecture me about the fact that crème anglaise was defined as “a custard sauce flavored with vanilla.” “So writing ‘Vanilla Crème Anglaise’ on the menu is redundant,” he finished. I reminded him that I was just a lowly peon who had no control over the writing of the menu, and went back to pulling stems off of 1 million huckleberries. 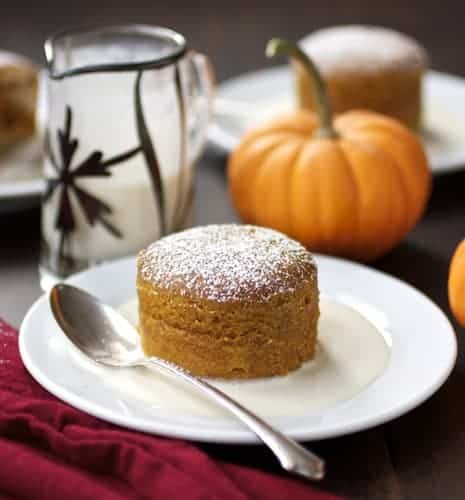 I hate to admit that I heeded Justin’s advice when titling this recipe, a warm pumpkin cake served in a puddle of thick vanilla-scented cream. New Englanders know their fall desserts, and this is another winner adapted from The Arrows Cookbook. In any case, these cakes are easy to put together, and they make an excellent alternative to pumpkin pie, but with the same familiar flavors–brown sugar, vanilla, cinnamon, ginger, nutmeg and allspice. 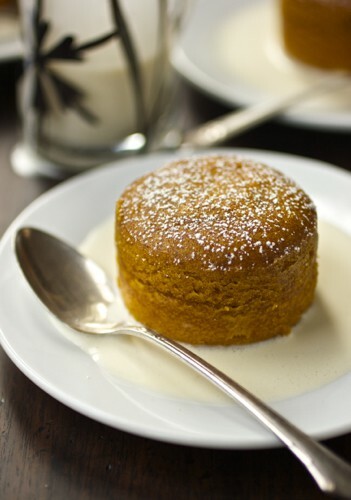 The contrast of warm, creamy and light cake with cold, thick crème anglaise is a happy one. I changed the cake recipe a bit to reduce the sweetness and increase the pumpkin (actually a red kabocha squash that, when roasted and blended, produced the most brilliant orange puree). I traded the brown sugar for unrefined muscobado sugar, and added in some whole spelt flour. Still, the cakes taste perfectly sweet, light and fluffy. They are definitely dessert. I like a rich crème anglaise, so I make mine with a mixture of heavy cream and half and half rather than the typical whole milk. 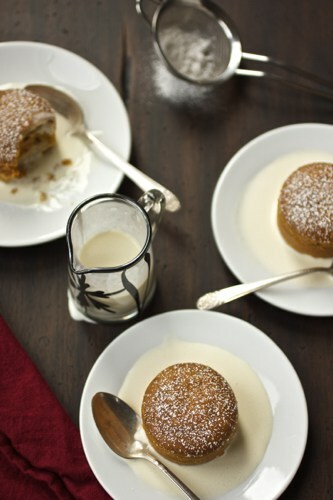 It tastes like liquid crème brulée, has an amazing mouthfeel, and makes an ideal accompaniment to the warm pudding cakes. …not even one armed with a culinary dictionary. 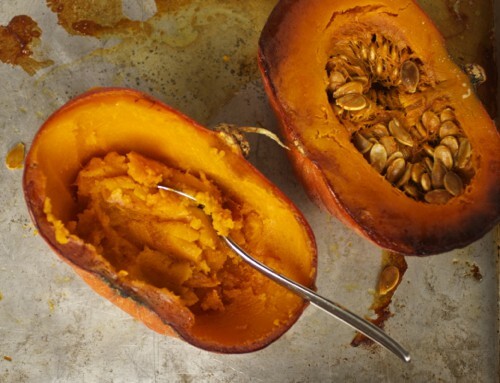 If you wish to make your own squash puree (though canned pumpkin should work just fine), halve a small winter squash (hubbard, kabocha and butternut are my favorites) leaving in the seeds and strings. Place the squash halves cut-side-down on an oiled, rimmed baking sheet, and bake in a 400º oven until bronzed, tender, and beginning to collapse, about 45 minutes. Let cool, then scrape out and discard the seeds and strings. Scoop the flesh into a food processor and puree smooth. 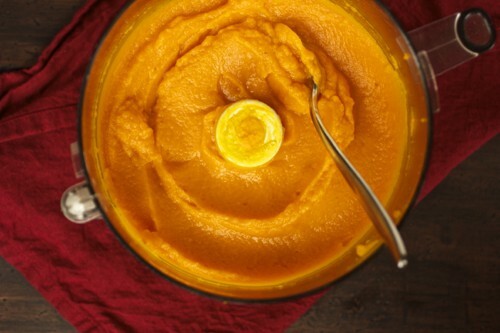 Extra squash puree can be stirred into oatmeal or polenta, or turned into Pumpkin Cinnamon Buns or Pumpkin Ice Cream. 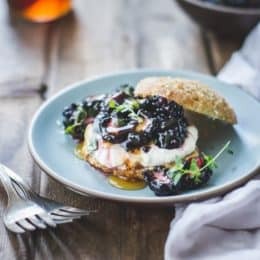 For best results, have all ingredients at room temperature, which ensures that the batter will emulsify and bake up light and fluffy. 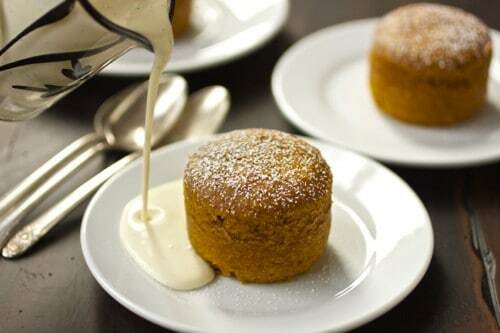 Both the cakes and the crème anglaise can be made up to 2 days in advance; reheat in a 350º oven for 15 minutes. I like a rich crème anglaise, as shown here, but it can be made with all half and half or whole milk for a lighter version. 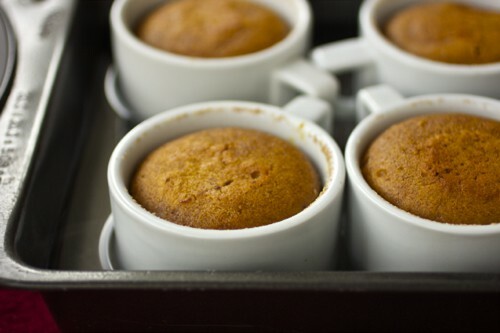 If you lack ramekins, you can bake the cakes in disposable foil cups or muffin cups. In a small, heavy-bottomed saucepan, combine the dairy and the vanilla pod and scrapings. Warm over medium heat, swirling occasionally, until steamy and bubbles form around the edges. Remove from the heat, cover, and let steep 15-30 minutes. In a medium bowl, combine the egg yolks, salt and sugar. Whisk until pale and thick, 2 minutes. Slowly pour in the warm dairy, whisking constantly, then return the mixture to the pot. 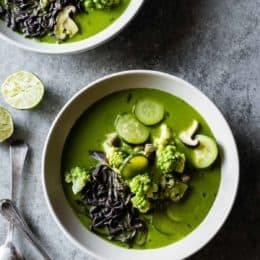 Place over low heat and cook, stirring constantly with a heat-proof silicone spatula, until the mixture thickens to the texture of cold, heavy cream, and/or registers 175ºF on an instant read thermometer, about 5 minutes. Immediately strain the mixture through a fine-mesh sieve and into a metal bowl. Place the bowl in an ice bath, and stir occasionally until cold. 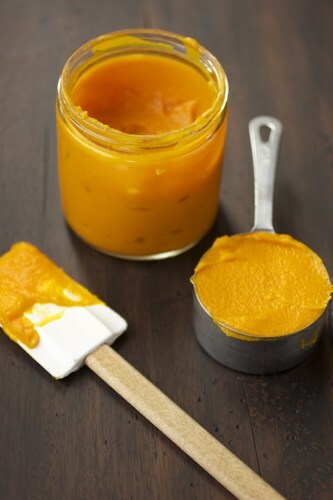 Pour the sauce into an airtight container and refrigerate until thoroughly chilled. The crème anglaise will keep for up to 3 days. Position a rack in the center of the oven and preheat to 350º. Coat four 4-ounce ramekins with butter and dust with flour, knocking out the excess. 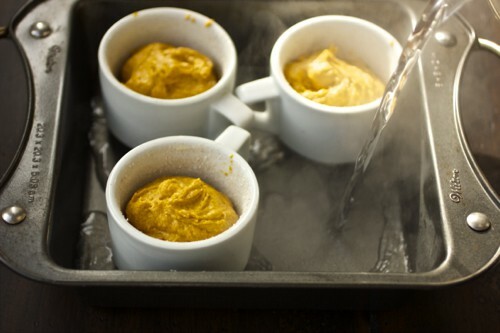 Place the ramekins in an 8″ square baking pan. Bring a kettle of water to a boil. Combine the butter and sugars in a stand mixer fitted with the paddle attachment and beat on medium speed until lightened in color, scraping the mixer and paddle once or twice. Add the egg, and beat on medium until smooth and light, about 2 minutes. Meanwhile, sift together the flours, baking powder, salt and spices into a medium bowl. Add half the dry ingredients to the butter mixture and mix until just combined. Add the squash puree and vanilla and mix until combined. Add the rest of the dry ingredients and mix until just combined. Remove the bowl from the mixer and fold a few times with a rubber spatula to make sure the mixture is evenly combined. Divide the mixture among the ramekins, filling them 2/3 of the way (a spring-loaded ice cream scoop works well for this). Pour boiling water halfway up the sides of the ramekins, and cover the pan with foil, leaving a little room over top for the cakes to rise. Carefully transfer the cakes to the oven. Bake the cakes until they are puffed and pulling away from the sides of the ramekins, and a toothpick inserted in the center of one comes out clean with a few moist crumbs, 35-45 minutes. Remove the ramekins from the water bath and let the cakes cool for at least 15 minutes (they are still cooking from residual heat). To serve, run a thin knife around the edges of the cakes and turn out onto plates or shallow bowls. 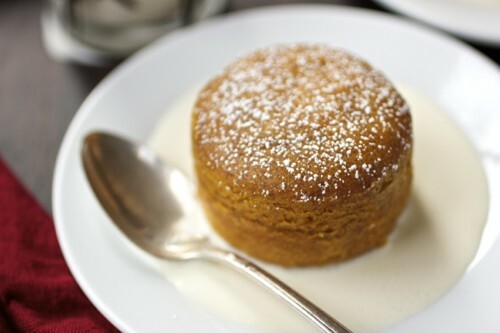 Dust with powdered sugar, and pour a puddle of crème anglaise around each cake. 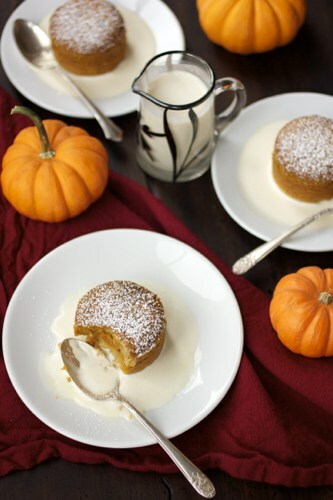 Pumpkin + Creme Anglaise + pudding = my idea of degustory delight! my idea of heaven. I love the two, and warm puds just tip me off anyway. making this later I hope, got too much pumpkins in the house that needs using up, just waiting for a good recipe liek this to come along. In the oven…. Can't wait!!!! what a lovely recipe. I'm curious how these cakes would turn out if I baked them in cylinder paper molds. Would the rise still be enough since they wouldn't be baked in a water bath with steam? Should i add more baking powder? I hope the texture isnt too different. I think that would probably work, though the lack of steam will give them a different texture, more muffin-like, probably. You could try putting a pan of water on the rack below them? Let me know! Im doing a combo of pumpkin and hachiyas. I think the idea of a water pan on bottom rack is great. Thanx for your advice. I'll let u know how they turn out. Oh I love the idea of persimmon here! How did the go? I'll give Amelia the message – thank you so much for reading! 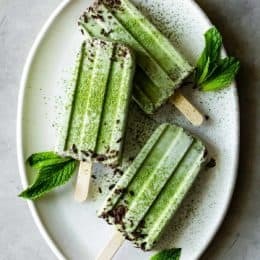 …when the dog bites.. when the bees sting.."
Like, replace the wheat flours with sweet rice flour and oat flour? Have you tried to do a GF version before? 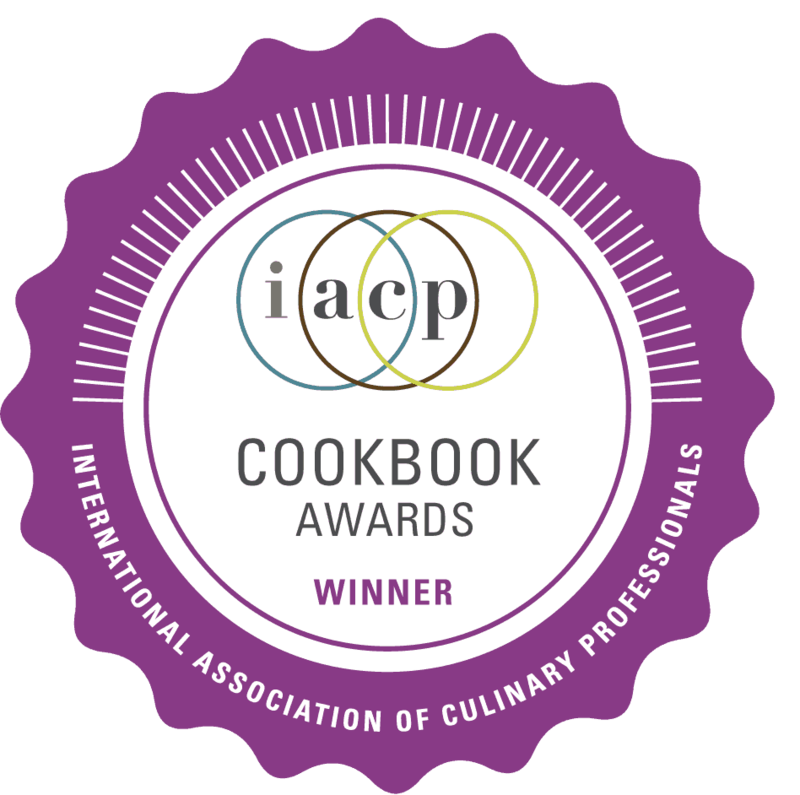 Thank you for all your beautiful recipes! Hi Nicole! Thanks so much for the sweet words. 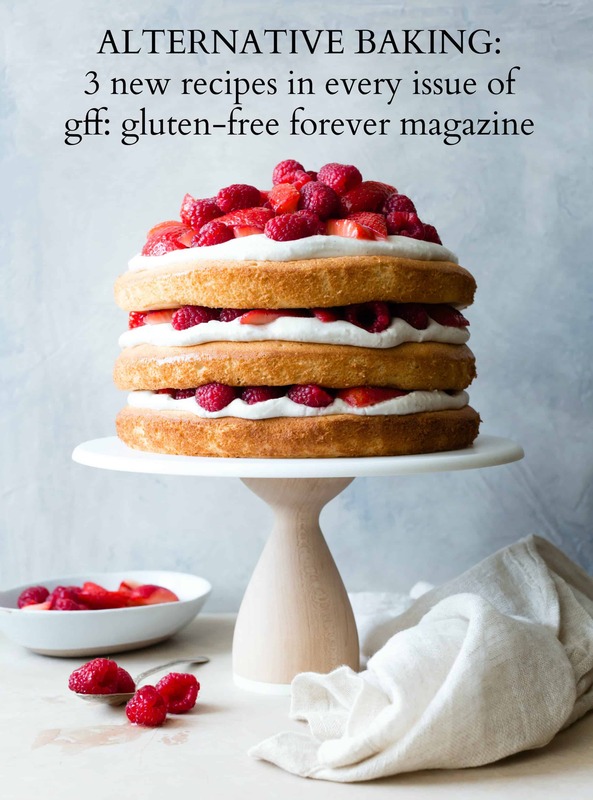 I haven’t tried the recipe GF, but those flours sound spot on to me. Let me know if you give it a try! Just letting you and anyone else interested, that I made these with AP wheat flour and also with equal parts sweet rice flour and oat flour. No one could tell which was gluten free and which was not. They were equally delicious! 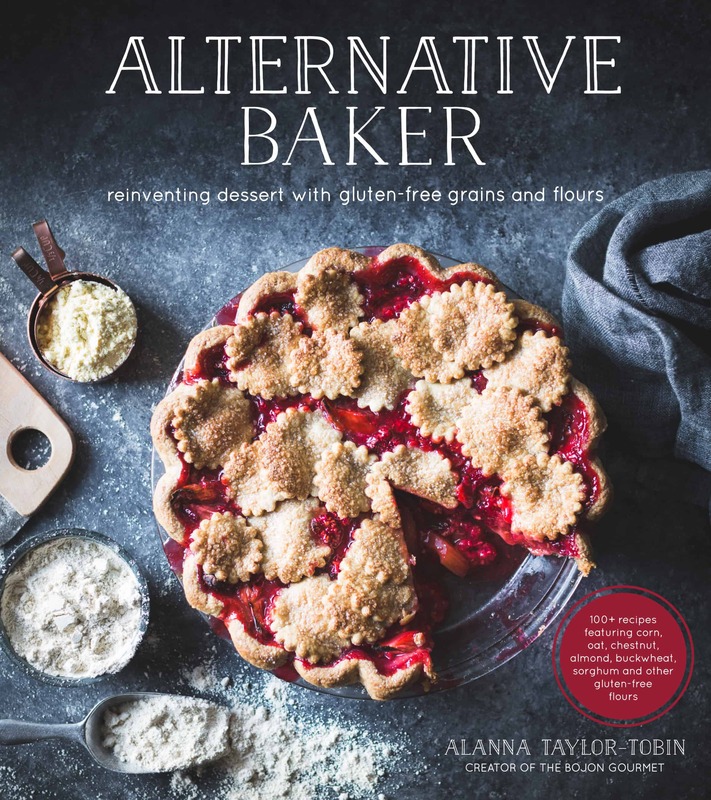 Most people actually perferred the gluten-free version :) Thanks for all your recipes!